The Montana Indian Nations Working Group was formed as a sub-committee of the Homeland Security Task Force in January 2003. The Working Group’s membership includes homeland security and emergency management points of contact for each of the seven Indian Nations, US Attorney’s Office, Customs and Border Patrol, Indian Health Services, County Emergency Management, Dept. of Public Health and Human Services, Bureau of Indian Affairs, Governor’s Office, and MT Disaster & Emergency Services Division provides the staff support. The Working Group met monthly for the first two years through conference calls or face-to-face meetings. Currently meetings are held face-to-face with a schedule of every two to three months. Identify the key personnel within each Indian Nation who are involved with homeland security and emergency management efforts, to include Tribal Emergency Response Commissions (TERC), tribal health, and Tribal Leaders. Promote an environment where members feel comfortable in expressing their ideas. Provide a forum to assist with the development, education, and implementation of emergency management planning, TERC, and homeland security grant efforts for each Indian Nation. Promote the strengths and efforts of each Indian Nation for the working together as a whole. Develop working and personal relationships between each of the Indian Nations. Recognizing the need to become partners. Support the development of the working relationships with the Indian Nations’ stakeholders. Realizing there are no boundaries between Tribal and County when it comes to a disaster or emergency in saving lives, protecting property and the environment. · Emergency management and homeland security program managers communicate and assist each other on a regular basis. · Expanding the Emergency Management Performance Grants (EMPG) to include all Indian Nations. · CSKT, Lake County, and Sanders County Emergency Management have a joint TERC/LEPC committee and have personally visited the Crow and Big Horn County to provide encouragement on becoming a joint TERC/LEPC. · The Crow, Northern Cheyenne, and Big Horn County have worked together on emergency management planning, interoperable communications, and exercising. · Each Indian Nation has developed a terrorism annex and a Homeland Security Strategic Plan. · The Blackfeet have taken a lead in educating and promoting the need for additional resources along the Canadian Border. · The CSKT, Blackfeet, Fort Belknap, and Fort Peck are active members of the Northern Tier Interoperable Communications Consortium. · The Northern Cheyenne and Crow are active members of the Big Sky 11 Interoperable Communications Consortium. · The Chippewa-Cree are active members of the Central Montana Interoperable Communications Consortium. · Sent a letter of request to the Bureau of Indian Affairs for their law enforcement personnel to actively participate in emergency management and interoperable communications planning efforts. 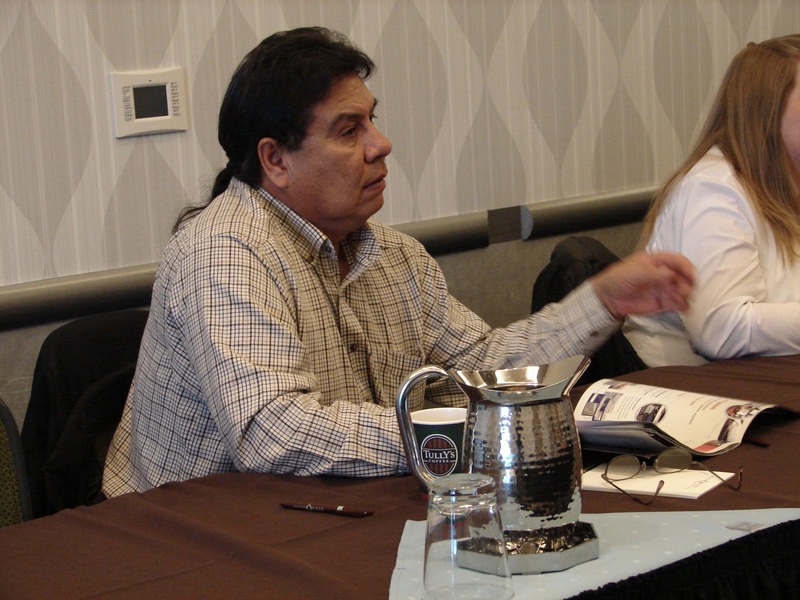 · CSKT and Blackfeet have represented the Indian Nations Working Group in national meetings promoting Montana’s homeland security planning efforts. · Development of a Memorandum of Understanding (MOU) with all Indian Nations for the use of resources during an emergency or disaster. · Building a relationship between the Crow, Northern Cheyenne, Big Horn and the Billings HazMat team for hazardous materials planning and response. · Briefings to Tribal Leaders, Councils, and Organizations on the activities of the Working Group. · Development of communications with Indian Health Service. · The development and approval of by-laws. · Development of a master list of training capabilities and qualified personnel availability for each Indian Nation. · The development and implementation of interoperable communications system. · Development of emergency management training in an effort to assist and support each other during an emergency or disaster. The improvement of participation from non-participating Indian Nations, Federal and State Agencies in the meetings. Lack of education and understanding of the importance of emergency management services and homeland security. The non-availability of tribal funding to match EMPG. Continuity of emergency management personnel. For the first time, the National Tribal Emergency Management Council and the Northwest Tribal Emergency Management Council met with Montana Tribal representatives on February 7, 2012 at the Northern Quest Casino in Spokane, Washington to discuss emergency management issues facing tribal nations in the Pacific Northwest and Montana during the first Tribal EM Summit between the three groups. Montana tribal leaders from the Blackfeet Nation, the Confederated Salish and Kootenai Tribes of the Flathead Nation (CSKT), and Fort Belknap Reservation presented and addressed critical emergency management issues on their tribal lands to the National Tribal Emergency Management Council members. 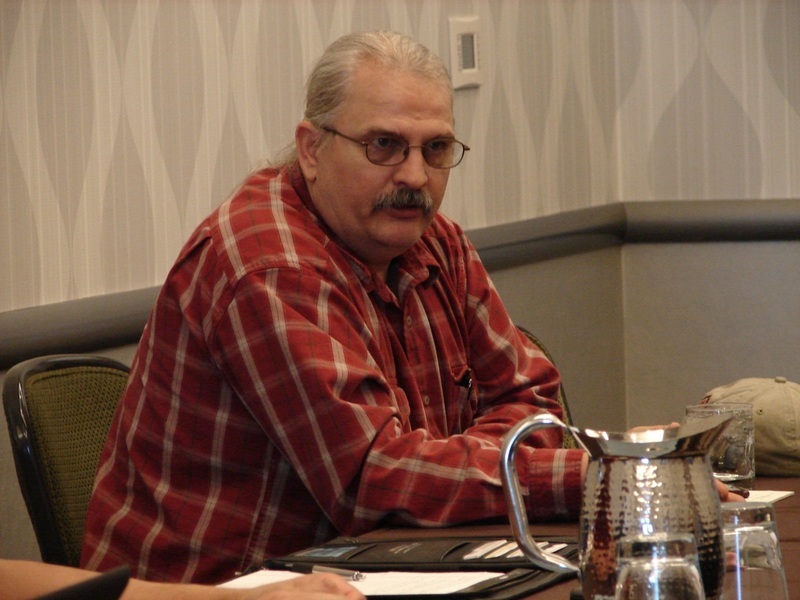 All of the Montana tribal members belong to the Montana Indian Nations Working Group, which meets regularly to discuss disaster and emergency topics pertinent to Montana tribes. 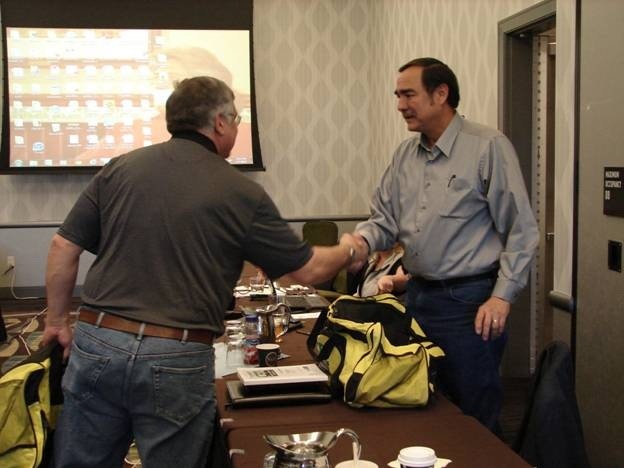 In addition to sharing common disaster concerns between the NWTEMC and MINWG, the Montana Tribal representatives were formally invited to join the NTEMC. Their membership to the NTEMC means that Montana tribes will be able to report and collaborate with other national Tribal members about their emergency management concerns through a widely recognized and acclaimed website. Montana Tribal members discussed topics which covered border security, mutual aid agreements, grant funding, protection of cultural resources, types of disasters unique to Montana tribes, criminal activity, political challenges with government agency partners in addition to addressing past, present and future concerns with disaster and emergency management issues. The NWTEMC and the MINWG members found strong common ground during the presentation material, which helped cement the alliance between the two tribal groups. Robert DesRosier, Disaster and Emergency Services Manager for the Blackfeet Nation is leading discussion of tribal concerns facing the Blackfeet. Dale Nelson, Emergency Manager for the CKST, addressed the ‘Memorandum of Understanding’ (MOU) which they have with the Blackfeet Nation. In early January 2012, the Blackfeet Nation suffered wildland fire damages from a rare winter firestorm that was ignited by a downed power line from high winds. DesRosier sent out a state wide request for assistance, and the CSKT responded quickly by sending wildland fire crews and engines to aid the Blackfeet. 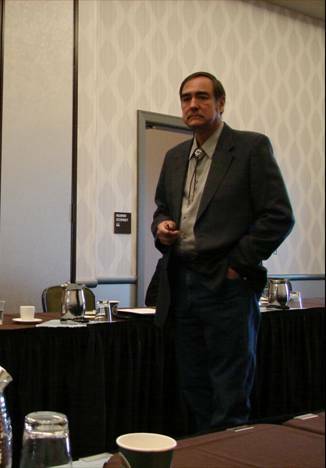 Gilbert ‘Buddy’ Horn, Emergency Manager from the Fort Belknap Reservation in the northeastern region of Montana, discussed their 2011 flooding event which resulted from a high winter snowpack that rapidly melted during spring months. Horn remarked that the tribe is still working with FEMA to finalize the federal disaster declaration they received from FEMA Region 8. DesRosier provided additional tribal emergency management ‘best practices’ documents to Claude Cox, President of the NTEMC and Lynda Zambrano, Executive Director, NTEMC to review critical issues which concern all Montana tribes. The collaboration between the NWTEMC and the MINWG was cemented by shared concerns, topics, and challenges facing their tribal nations in these modern times. The importance of tribal nations becoming allies through joining ranks via the NTEMC was enthusiastically supported by all in attendance. A. The purpose of this MUTUAL AID AGREEMENT (“AGREEMENT”) is to provide a formal mechanism for cooperation and coordination between Montana Tribal Nations involving disaster and emergency resources. B. The scope of services of this Agreement includes, but is not necessarily limited to, trained and equipped fire, law enforcement, emergency medical services, public health, public works, emergency management, and other Tribal resources. Basic all-hazard response shall utilize the National Incident Management System (NIMS) as recommended by the United States Department of Homeland Security (DHS) to establish Unified Command. A. “Disaster” means the occurrence or imminent threat of widespread or severe damage, injury, or loss of life or property damage resulting from any natural, man-made or criminal cause, including, but not limited to, tornadoes, windstorms, snowstorms, floods, earthquakes, landslides, mudslides, fires, explosions, acts of terrorism, air or water contamination requiring emergency action to avert danger or damage, infestations, riots, sabotage, disruption of services, accidents involving radiation by-products or other hazardous materials, bio-terrorism, or incidents involving weapons of mass destruction. B. “Disaster and emergency services” means the preparation for and carrying out of disaster an emergency functions and responsibilities, other than those for which military forces or other Tribal, Federal, or state agencies are primarily responsible, to prepare for, mitigate, respond to, prevent, and recover from injury and damage resulting from emergencies or disasters. C. Disaster and Emergency Services (DES)” means an office in which the coordinators prepare and plan response for emergencies and disasters, respond to them when they occur, assist individuals and institutions to recover from them, mitigate their effects, reduce the risk of loss and prevent related disasters from occurring. D. “Disaster and Emergency Services Coordinator” means a Tribal Nation employee who coordinates all activities pertaining to the Tribal Nation’s emergency management program. E. “Emergency” means the imminent threat of a disaster causing immediate peril to life or property that timely action can avert or minimize. F. “Incident” means an event or occurrence, caused by an individual, organization, entity, or by natural phenomena, requiring action by disaster and emergency services personnel to prevent or minimize loss of live or damage to property or natural resources. G. “Participant” means a tribal government who is signatory to this Agreement. of intelligence and information, planning, training and exercise of responders, mitigation activities, and citizen education and training. I. “Response” means mobilizing and positioning emergency equipment and trained personnel in the event of a disaster or emergency where health, property, or environment is endangered. A. A Tribal Nation requesting assistance under this agreement shall be formalized in writing through the Tribal Chairperson or the Tribal Disaster and Emergency Services Coordinator. The request shall utilize a request for assistance form similar to the sample hereto attached. See Appendix I, sample Request for Assistance form. B. A Tribal Nation receiving a request for assistance shall immediately determine their resources and trained personnel availability and notify the requesting Tribal Nation as soon as practicable. The extent of aid to be provided under this Agreement shall be determined solely by the assisting Tribal Nation. The assisting Tribal Nation may withdraw any resource or trained personnel at any time. In that event, the assisting Tribal Nation shall make timely notification of resource withdrawal to the Disaster and Emergency Coordinator or Tribal Chairperson of the requesting Tribal Nation. C. Personnel employed by the assisting Tribal Nation may respond to disaster and emergencies as authorized or directed by their employer Tribal Nation, provided each employee meets the minimum training and certification requirements of the request. An assisting Tribal Nation may designate and send a trained Tribal disaster and emergency services liaison with the resources or personnel sent pursuant to a request. A. Each Tribal Nation shall be responsible for the training, equipping and salary of their employee responders for the duration of the deployment. B. In its request for assistance, the requesting Tribal Nation shall indicate, to the extent known, the requesting Tribal Nation’s ability and/or commitment to reimburse the responding Tribal Nation(s) for its/their resources and personnel. Reimbursement arrangements, if any, between the Participants is a matter to be worked out between the Participants and is not governed by this agreement. C. The Participants will to the fullest extent possible coordinate in the reimbursement process and prioritize reimbursement of the requested Participant. Each Participant shall be responsible for any liability, injury, damage or loss that me be incurred as a result of any suit, claim, demand, judgment or settlement made against its officers, employees, or agents resulting from their (non-criminal) intentional or negligent acts, errors, or omissions in connection with any activities performed under this Agreement. Each participant also agrees to hold harmless, indemnify and defend all other Participants from any and all losses, liabilities, injury, damage, claims or expenses (including attorney’s fees and costs) of any nature caused by the (non-criminal) intentional or negligent acts, errors, or omission of such Participant’s officers, employees or agents in connection with any activities performed under this Agreement. For purposes of a Participant’s enforcement of the obligations under Section 6, the undersigned Participants agree to a limited waiver of sovereign immunity as follows: (A) the waiver is limited to only Participants to this Agreement seeking to enforce obligations under Section 6; (B) the waiver is limited to the Tribal Court of the Participant who is the defendant in the action. The waiver is limited to only monetary damages with a maximum aggregate ceiling of $50,000 for all claims that may be brought by a Participant arising from an incident, including attorney’s fees to bring those claims; and (C) where a Participant has insurance coverage over the claim, the amount of monetary recovery by a Participant seeking enforcement may be up to the policy limits of such insurance coverage, and the defending Participant agrees not to raise sovereign immunity as a defense up to policy limits. Except for the limited waiver of sovereign immunity set forth above, the Participants’ sovereign immunity remains in full force and effect in all other respects and against all other persons and claims. The Disaster and Emergency Coordinators for the Tribal Nations shall meet annually to review this Agreement and to discuss improvements to coordination and implementation. A list of the Coordinators is attached as Appendix 2, and will be updated annually. of all signatory Tribal Nations. Any Tribal Nation to this Agreement may terminate their participation in this Agreement for any reason at any time by providing written notice to other Participants. Any outstanding obligations of the withdrawing Tribal Nation under Sections 6 and 7 shall survive such termination. This Agreement shall take effect on the date the fourth Participant signs the Agreement. This Agreement will be reviewed annually by the Indian Nations Working Group and every fifth year by each of the Tribal Councils. By signature hereon, the undersigned Tribal Nations agree to support and participate in the activities as set forth in this Agreement. The Tribal Nations have duly authorized the undersigned person to sign this Agreement on behalf of their Nation.